Samantabhadra, the primordial Buddha is pure omniscience, the essence of the enlightened mind of all the Buddhas. Embracing Samantabhadri, the female primordial Buddha, their union represents non-dual wisdom and compassion, the ultimate indivisibility of samsara and nirvana, and the potential for Buddhahood inherent in all sentient beings. Samanta means, “universally extending.” Bhadra means “great virtue.” Samantabhadra means to extend such great compassion that every sentient being is benefited and to practice so extensively and profoundly that all virtue is perfected. Vajrasattva is the manifestation of the purity of body, speech, and mind of all the Buddhas. As a meditational deity Vajrasattva is visualized as the expression of mind’s pure essence. In this way negativities and obscurations are cleansed allowing Buddha nature to manifest. As a Bodhisattva, Vajrasattva saw that all beings suffer because of their negative karma and made a vow to free all beings of this karma. In 626 B.C.E., our supreme Dharma teacher, Buddha Shakyamuni, was born in southern Nepal that in ancient times was northern India. At the age of thirty-five, Shakyamuni attained Buddhahood in Bodhgaya, India and began to teach the dharma in this world. For the next forty-seven years the Buddha’s teachings flourished throughout the universe and as a result many sentient beings attained enlightenment. At the age of eighty-two, Buddha Shakyamuni passed into nirvana. Thereafter, Buddha Shakyamuni manifested as two wisdom emanations. Nirmāṇakāya Garap Dorjé (Garab Dorje) was the first human master of Dzogchen. It then passed to Mañjushrimitra. At the time of his parinirvana, Garab Dorje ascended into the sky and dissolved into rainbow light. At this, Mañjushrimitra cried out in despair and distress, and made a very beautiful plea: “What will become of us now that you are passing away? You are the light of the world…” This moved Garab Dorje and his hand reappeared that held a small golden casket containing the teaching of Hitting the Essence in Three Words. He let this casket fall into the hand of Mañjushrimitra. As soon as he received it, his mind became the same as the wisdom mind of his master Garab Dorje. Mañjushrimitra (Skt. Mañjuśrīmitra; Tib. འཇམ་དཔལ་བཤེས་གཉེན་, Jampal Shenyen; Wyl. ‘jam dpal bshes gnyen) — one of the early masters of the Dzogchen lineage. He was a disciple of Garab Dorje and the main teacher of Shri Singha. He is famous for arranging the Dzogchen teachings into three classes: the Mind Class (Tib. སེམས་སྡེ་,sem dé), Space Class (Tib. ཀློང་སྡེ་, long dé), and Pith Instruction Class (Tib. མན་ངག་སྡེ་, mengak dé). His last testament, which he conferred upon Shri Singha before passing into the rainbow body, is called the Six Experiences of Meditation. Shri Singha (Skt. Śrī Siṃha; Tib. ཤྲཱི་སིང་ཧ་, དཔལ་གྱི་སེང་གེ་, Wyl. dpal gyi seng ge) — one of the early masters of the Dzogchen lineage, who was originally from the kingdom of Khotan located in the present day Xinjiang province of China. He was a disciple of Mañjushrimitra and the main teacher of Jñanasutra. He is famous for arranging the teachings of the Pith Instruction Class (mengak dé) into four cycles: outer, inner, secret and innermost secret unsurpassed. His last testament, which he conferred upon Jñanasutra before passing into the rainbow body, is called the Seven Nails. Jñānasūtra (Tib. ཡེ་ཤེས་མདོ་, Wyl. ye shes mdo) — one of the early masters of the Dzogchen lineage. He was a disciple of Shri Singha and the main teacher ofVimalamitra. His last testament, which he conferred upon Vimalamitra before passing into the rainbow body, is called the Four Means of Abiding. Vimalamitra (Skt. ; Tib. དྲི་མེད་བཤེས་གཉེན་, Drimé Shenyen; Wyl. dri med bshes gnyen) aka Mahavajra was one of the most learned Indian Buddhist masters. He went to Tibet in the ninth century, where he taught extensively, and composed and translated numerous Sanskrit texts. The quintessence of his teaching is known as the Vima Nyingtik, one of the Heart-essence teachings of the Great Perfection. Vimalamitra spent thirteen years in Tibet, and then, promising to return to Tibet every hundred years as an emanation to further the Clear Light teaching of Dzogpachenpo, he left for the Wutai Shan mountain in China. There he remains, in the rainbow body, the ‘Body of Great Transference’, and there he will remain until all of the 1002 buddhas of this Fortunate Aeon have appeared. When they have all done so, he will once again go to Vajrasana in India, where he will manifest the state of complete and perfect enlightenment. Shantarakshita (Skt. Śāntarakṣita; Tib. ཞི་བ་འཚོ་, Shyiwa Tsho, Wyl. zhi ba ‘tsho), also called Khenpo Bodhisattva, ‘Bodhisattva Abbot’. This great Indian pandita of theMahayana school was abbot of the Buddhist university of Nalanda. He was invited to Tibet by King Trisong Detsen where he founded the temple and monastery of Samyé and ordained the first seven Tibetan monks, thus establishing the Tibetan Sangha, according to Nagarjuna’s Sarvastivadin tradition. He worked extensively to uphold and maintain the Buddhist teachings, and so began to establish the Buddhadharma in Tibet. However, indigenous forces that opposed and were hostile to the Dharma were increasing in strength. Neither the might of the king, Trisong Detsen, nor the power of the great abbot Shantarakshita could subdue them, and so they invited Padmakara (Guru Rinpoche) to come to Tibet. Padmasambhava from Oḍḍiyāna (Guru Rinpoche) established a lineage of oral transmission known as the Kama that passes from teacher to disciple. The Kama continues unbroken up to the present. Guru Padmasambhava and Wisdom Dakini Yeshé Tsogyal also concealed various types of spiritual treasures known as Terma that are discovered by revealers of spiritual treasure known as tertons. This is known as the Terma lineage. King Trisong Detsen (Tib. ཁྲི་སྲོང་ལྡེ་བཙན་, Wyl. khri srong lde btsan) or Trisong Deutsen [Déu tsen] (ཁྲི་སྲོང་ལྡེའུ་བཙན་, khri srong lde’u btsan) (742-c.800/755-797 according to the Chinese sources) – the thirty-eighth king of Tibet, second of the three great religious kings and one of the main disciples of Padmakara (Guru Rinpoche). It was due to his efforts that the great masters Shantarakshita and Padmakara (Guru Padmasambhava) came from India and established Buddhism firmly in Tibet. Yeshe Tsogyal (Tib. ཡེ་ཤེས་མཚོ་རྒྱལ་, Wyl. ye shes mtsho rgyal) was the principal consort of Padmakara (Guru Padmasambhava). She was Vajravarahi in human form and also an emanation of Tara and Buddhalochana. She became the consort of King Trisong Detsen before being offered to Guru Rinpoche as a mandala offering during an empowerment. She specialized in the practice ofVajrakilaya and experienced visions of the deity and gained accomplishment. In Nepal, she paid a ransom for Acharya Salé and took him as her spiritual consort. Through the power of her unfailing memory, she collected all the teachings given by Guru Rinpoche in Tibet and concealed them as terma. At the end of her life, it is said, she flew through the air and went directly to Zangdokpalri. Lochen Vairotsana (or Bairotsana or Berotsana (Tib. བཻ་རོ་ཙ་ན་, Wyl. bai ro tsa na), Vairochana (Tib. བཻ་རོ་ཅ་ན་, Wyl. bai ro ca na)) (eighth-ninth centuries) — the greatest of all Tibetan lotsawas. Together with Padmasambhava and Vimalamitra, he was one of the three main masters to bring the Dzogchen teachings to Tibet. Chetsün Sengé Wangchuk (Tib. ལྕེ་བཙུན་སེང་གེ་དབང་ཕྱུག་, Wyl. lce btsun seng ge dbang phyug) (11th–12th centuries) was an important figure in the Nyingtik lineage. He received the complete transmission of the Vima Nyingtik from Dangma Lhundrup Gyaltsen‎‎ and passed it on to Gyalwa Shyangtön Tashi Dorjé. In addition, Vimalamitra himself appeared to him and gave him empowerments, guidance, and instructions. At the age of one hundred and twenty-five, he attained the rainbow body, vanishing into the sky in a cloud of rainbow light. According to Jamyang Khyentse Chökyi Lodrö’s commentary on the Chetsün Nyingtik and the opening section of the terma, Chetsün Sengé Wangchuk attained rainbow body on the tenth day of the seventh Tibetan month. Before passing away, he gave his last instructions to the dakini Palgyi Lodrö. He was reincarnated as the great nineteenth-century master Jamyang Khyentse Wangpo, who, recollecting his past life in a vision and receiving the teaching back from the dakini, brought out the very important cycle of teachings known as Chetsün Nyingtik. Rongzom Chöyki Zangpo who was renowned as the supreme mahapandita of Tibet, the land of snow mountains, took birth in Narlung-rong, a subdistrict of Rulak in lower Tsang. The rite of the five awakenings of the causal phase was first performed by his father Rongben Rincen Tshültrim, the son of Rongben Pelgi Rinpoche. Consequently, he was to demonstrate an enlightenment exemplifying five excellences; Dignaga’s discriminative awareness, Vasubandhu’s learning, Candragomin’s expressive style, Dharmakirti’s analytical acument, and master Aryasura’s poetic composition. It is said that Rongzompa was the immediate reincarnation of a pandita called master Smritijnanakirti, who had come to Tibet towards the end of the early propagation of the teaching. In the province of Dokam he corrected the translations of some of the tantras, and translated commentaries on the way of secret mantra. Longchen Rabjampa (Longchenpa) (1308 – 1363) was the reincarnation of Princess Pemasel, the daughter of King Trisong Detsen, and a direct student of Guru Rinpoche. His birth in the Tra Valley of southern Tibet was accompanied by miraculous events and auspicious omens. He began his Dharma training at the age of seven, when he received empowerments and teachings from his father, a tantric yogi. At twelve, he took novice monastic vows at Samye monastery. Longchenpa studied and practiced teachings from a variety of lineages and masters. He received and mastered so many teachings, in fact, that he became known as Samye Lungmangwa, the One of Samye with Many Transmissions. Though he is associated primarily with the Nyingma lineage, he also studied many teachings of the Sarma, or New Schools, including the Kalachakratantra, Chöd, and the Path and Result teachings of the Sakya lineage. He shared a particularly close relationship with the third Karmapa, Rangjung Dorjé, with whom he studied under the Dzogchen master Rigdzin Kumaraja. Longchenpa passed away at the age of fifty-six. He left over two hundred and fifty treatises behind, many of which are still regarded as the most comprehensive and authoritative works yet written concerning the view and practice of the Great Perfection. His most important students include the 3rd Karmapa, Rangjung Dorjé, with whom he exchanged teachings, Özer Kocha, and his son, Tülku Trakpa Özer. Rigdzin Terdak Lingpa (Minling Terchen Gyurme Dorje) was the speech emanation of the great translator Vairocana. At the request of the dakinis, the body of his pristine cognition assumed the form of Heruka and entered the womb. Terdak Lingpa, accompanied by rainbows and various wondrous omens, was born on Monday, March 26, 1646 (tenth day, second month, fire dog year). His mother was Yum Lhandzin Yangchen Drölma, who was a direct descendent of the Chögyal Dynasty of the great kings Songtsen Gampo and Trisong Detsen. His father, Sangdak Thrinley Lhündrup, was the reincarnation of Nubchen Sangyay Yeshe, one of the twenty-five disciples of Guru Padmasambhava. Sangdak Thrinley Lhundrup himself, born at Chak Jangchubling in 1611 (iron female pig year), was the son of Khedrub Don-Nga Tenzin, a learned and accomplished teacher of the Nyö clan. Sangdak Thrinley Lhündrup was a renowned scholar and teacher who studied with more than 30 highly-accomplished masters of the time. He then bestowed these profound and vast teachings on his supreme spiritual son of body, speech and mind, the great treasure finder Chögyal Terdak Lingpa Rigdzin Gyurme Dorje. Minling Terchen Gyurme Dorje (Terdak Lingpa) was the founder of Mindroling Monastery in 1676. This is the “Gyurme” that Khenpo Sherab Sangpo names his Dharma students after when he bestows refuge vows. Lochen Dharmashri received refuge and bodhicitta vows from Terdak Lingpa, who was his principle guru. At the age of twelve, Dharmashri received the empowerment of Rigdzin Thugthig (Innermost Spirituality of the Vidyadharas) from Terdak Lingpa, due to which his mind matured, and the pratimoksha and bodhicitta vows that he later received arose as the essence of the discipline of secret mantra. When Dharmashri was fifteen, he received novice monastic vows from the Fifth Dalai Lama, from whom he also received full ordination when he reached the age of twenty. Fulfilling the instruction of the Dalai Lama, he later received the pure lineage of the Lower Tibetan Vinaya of the Nyingma. This was the Vinaya lineage from Kham that had survived the persecution of the buddhadharma by King Langdarma. Dharmashri became a great preserver of this tradition, widely propagating its explanation and practice. He and his elder brother, Terdak Lingpa, both sought out the great doctrine holders of the time and received an enormous number of transmissions on an equally vast number of topics. As a child Rigdzin Jigmé Lingpa remembered previous incarnations, his mind was detached from wordly concerns, and he was extraordinarily compassionate, intelligent, and courageous. At age 6, he entered Palri Monastery, but lived the life of a poor novice with nothing to facilitate learning. His intense zeal for the Dharma, devotion to Guru Rinpoche, and rich inner life sustained him and he felt no need to have a master or study intellectual subjects in detail as other students were doing. He learned merely by overhearing the classes of other students or glancing at the texts. In his twenty-eighth year he started a strict retreat concentrating his meditation on the development and perfection stages. He experienced many visions of Guru Rinpoche, Yeshe Tsogyal, Manjushrimitra and others, each further awakening his inner wisdom. One evening with an unbearable devotion to Guru Rinpoche in his heart, he experienced flying through the sky to the circumnambulation path of the Bodhnath stupa. In the courtyard of the stupa, a dakini entrusted him with a wooden casket containing yellow scrolls and crystal beads. Encouraged by another dakini, he swallowed these and instantly experienced the full awakening in his mind of all the words and meaning of the Longchen Nyingthik cycle. Three years later during a retreat at the Chimpu caves, the highest realisation of Dzogchen awakened in him through three visionary transmissions of the Longchen Nyingthik teachings from Longchen Rabjam. He kept them secret for seven years, until a clairvoyant disciple beseeched Jigme Lingpa to transmit them. Swiftly the teachings reached every corner of the Nyingma world and became the heart essence of meditation instructions for many realised meditators to this day. Jikme Gyalwe Nyugu was a great meditator, bodhisattva and adept. Born in 1765, in the Dzachuka valley, he experienced unbearable urges as a child to go to a solitary place and devote himself to meditation. As a youth he made a pilgrimage to Samye and other holy places and received instructions on Dzogchen, but his family obliged him to join his elder brother on business trips. During these he was overcome with revulsion for the lying and cursing practiced by laypeople. When his brother died at age 18, this more than any other single event, turned his mind resolutely to Dharma, but relatives put great pressure on him to marry and take care of the family. He was forced to run away from home and traveled to Central Tibet with a like-minded friend. At Samye they met with the first Dodrupchen who advised them to see Jigme Lingpa. When they reached Tsering Jong and beheld Jigme Lingpa, Jigme Gyalwe Nyugu experienced incredible joy. They received empowerments, transmissions, and detailed instructions on Dzogchen. After several more retreats in east Tibet he returned to Tsering Jong and experienced once more the great joy of seeing the omniscient Jigme Lingpa, who invited him to stay for three years. He explained frankly that he had to go back home because of obligations. He returned to Kham and did many years retreat around Dzogchen, and in Dzachuka, he had many extraordinary experiences. As advised by Jigme Lingpa, he devoted the entire latter part of his life to teaching whoever came to listen, giving empowerments or meditation instructions to all who were devout and sincere. During this period, he gave Patrül Rinpoche teachings on the Ngöndro of Longchen Nyingtik 25 times as well as the teachings on Tsalung and Dzogchen. Patrül Rinpoché (Orgyen Chökyi Wangpo, 1808-1887) was born in the Dzachuka valley of Eastern Tibet. Although he is generally considered to have been the speech incarnation of the great tertön Jikme Lingpa, Patrül Rinpoché was originally recognized as an incarnation of Palgé Tülku, a lama from Dzogchen Monastery. The first Dodrupchen Rinpoche, one of Jigme Lingpa’s two main disciples, entrusted young Patrül with the Longchen Nyingthik lineage shortly after the recognition. He practiced, studied, and taught this lineage throughout his life. Patrül Rinpoché studied with many different masters. His two main teachers, however, were Jigme Lingpa’s second main disciple, Jigme Gyalwe Nyugu, and the great tantric yogi Do Khyentse Yeshe Dorje, the mind incarnation of Jigme Lingpa. Under these and other important lamas, he studied a vast array of topics, from the foundational teachings of the Hinayana up to the most profound and secret oral instructions of the Great Perfection. At the age of twenty, Patrül Rinpoché left the residence of his predecessor and took up the life of a wandering hermit. For the rest of his days, Patrül wandered from mountain retreats to large monasteries, practicing the teachings, instructing students, and composing commentaries on important texts and practices. Though he was master of the Great Perfection teachings, he had a passion for teaching the Mahayana as well. He taught Shantideva’s Bodhicaryavatara over a hundred times. Throughout his life, Patrül Rinpoché demonstrated the impeccable life of a true siddha-scholar; he kept few possessions, had no fixed abode, and was often mistaken for a beggar due to his humble appearance. Patrül Rinpoché’s heart disciple was Lungtok Tenpé Nyima, who lived with him for twenty-eight years. His other disciples include some of the 19th century’s most outstanding masters. Among them were Mipham Rinpoche, Khenpo Künpal, the 3rd Dodrupchen Rinpoche, the famed tertön and teacher of the 13th Dalai Lama, Lerab Lingpa, and Adzom Drukpa. Patrül Rinpoché Rinpoche died at the age of 80. Jamyang Khyentsé Wangpo (Tib. འཇམ་དབྱངས་མཁྱེན་བརྩེའི་དབང་པོ་, Wyl. ‘jam dbyangs mkhyen brtse’i dbang po) (1820-1892), also known as པདྨ་འོད་གསལ་མདོ་སྔགས་གླིང་པ་, Pema Ösal Do-ngak Lingpa, was a major treasure revealer—the last of the Five Sovereign Tertöns—and one of the most eminent masters of the nineteenth century. He was a contemporary of Chokgyur Lingpa (1829-1870) and Jamgön Kongtrul the Great and was regarded as the combined reincarnation of Vimalamitra and King Trisong Deutsen. He became the founder of the Rimé (ecumenical) movement. Ju Mipham (1846-1912) ranks alongside Longchen Rabjam and Tsongkhapa as one of Tibet’s most prolific and influential masters. His presentation of the Nyingma School’s unique approach to the view and practice of Buddhism, and in particular the relationship between Madhyamaka and the Great Perfection, has had an enormous impact on the past few generations of Tibetan Buddhist scholars and practitioners. Namdrolling Monastic College, currently the largest functioning Nyingma educational institution, includes twenty of his texts in its curriculum. By comparison, only five texts by Longchenpa are included and only one by Rongzom Pandita. He excelled not only in study and teaching, however, but in practice as well. The numerous retreats he completed were always accompanied by miraculous signs of accomplishment. Mipham Rinpoche’s collected writings comprise twenty-seven volumes and cover a vast array of topics. Among his most influential writings are The Speech of Delight—a commentary on Shantarakshita’s Ornament of the Middle Way, Gateway to Knowledge—which provides an overview of the Buddha’s teachings, and Beacon of Certainty—an elucidation of the view of the Great Perfection and its relationship to the Middle Way teachings. Khenpo Yönga aka Khenchen Yönten Gyatso (Tib. ཡོན་ཏན་རྒྱ་མཚོ་, Wyl. yon tan rgya mtsho) (19th-20th C.) was a personal student of Patrul Rinpoche and Orgyen Tendzin Norbu. He belonged to Gemang Monastery, a branch of Dzogchen Monastery, and studied at Dzogchen and Shechen monasteries. He wrote a very popular two-part commentary on Rigdzin Jikme Lingpa’s Treasury of Precious Qualities, called Lamp of Moonlight and Rays of Sunlight. Among his students were Changma Khenchen Thubten Chöpel (the teacher of Dilgo Khyentse Rinpoche and Khenpo Jikmé Phuntsok) and Khenchen Tsewang Rigdzin of Washul Mewa (who attained the rainbow body). Khenchen Thupten Chöphel of Changma (1886-1956) was a student of Khenchen Yönten Gyatso. His birthplace was a nomadic community in the Batur region of the Dalung river valley. At the age of eleven, he entered the monastic community of Puntsok Norling and, beginning with reading and writing, trained in all the usual fields of knowledge. He was ordained as a novice by Khenchen Yonten Gyatso. At twenty-four Tupten Chopel requested additional vows and became a fully-ordained monk. Tupten Chopel studied myriad source texts and pith instructions of the Early Translation School, such as the teachings on mind teaching. In particular, from Khenchen Yonten Gyatso, the extraordinary master of his buddha family, Tupten Chopel received the earlier and later cycles of the secret Nyingtik teachings of the Dzogchen approach, as well as teachings on the most majestic tantra, and other cycles, receiving these as experiential transmissions based on the oral instructions of the lord of the dharma Paltrül Rinpoche. He put these teachings into practice and experienced the enlightened intent that is the ultimate lineage. Serving thus as a glorious protector of the teachings and of beings, Tupten Chople lived for seventy-one years. Of his students, the foremost were Khenchen Jigme Puntsok, Kyabje Dilgo Khyentse Rinpoche and Khenchen Pema Tsewang of Arigzha. Through the skillful conduct of training each according to their needs. Bötrul Do-ngak Tenpai Nyima (1900 – 1959) was born in Dakpo, in the eastern part of central Tibet. When he was very young, his spiritual predisposition awakened and he entered the path of the dharma. At a certain point, he joined an eastern Tibetan merchant on a pilgrimage and journeyed to eastern Tibet in search of teachings. Because he was still so young and his homeland was far away, Do-ngak Tenpai Nyima had no provisions for supporting himself while receiving teachings and therefore endured many hardships, including a lack of adequate clothing, and adopted a way of life reminiscent of the lord Milarepa’s. Do-ngak Tenpai Nyima attracted many students from all directions and upheld and fostered Mipam Rinpoché’s teaching methods. Among his students were Khen Chöchap, Pema Tsewang Lhundrup, Khen Tupten of Mepa, Khen Tupten of Rahor, Khen Dazer, and many other learned masters. He wrote numerous extensive and more concise works, including The Delineation of the Tenets of the View, An Overview of the Perfection of Sublime Knowledge, and A Word-by-Word Commentary on the Perfection of Sublime Knowing. Böpa Tulku Dongak Tenpe Nyima was a disciple of Kunpal Rinpoche who upheld the pure tradition of Jamgön Mipham Rinpoche. He was born during the fifteenth calendrical cycle in the eastern part of central Tibet, in the region of Dakpo. From an early age, his enlightened potential was awakened and he entered the path of the Dharma. In time, he joined a party of traders and pilgrims returning to Eastern Tibet, and went with them to Kham in search of teachings. Being young and a great distance from home, he had to face countless hardships, similar to those faced by Jetsün Milarepa, as he lacked the provisions needed to practise, had only poor clothes to wear and so on. Eventually, he made his way to Dzogchen Monastery in Dokham, and there received teachings from the resident lamas, tulkus, khenpos and acharyas on the various disciplines of the sūtras and tantras, but especially on the thirteen great classical scriptures. Through this training, he joined the ranks of the learned. To read the rest of the biography, please visit Lotsawa House by clicking on this link. This brief biography was supplemented by his direct disciple Khenchen Pema Tsewang Lhundrup whilst he was travelling in the foreign land of England furthering the Dharma tradition of the Ancient School. Translated by Adam Pearcey, Rigpa Translations, 2005. Adzom Gyalsé Gyurme Dorje (Wyl. a ‘dzom rgyal sras ‘gyur med rdo rje) aka Agyur Rinpoche (Wyl. a ‘gyur rin po che) (1895-1969) — the third son and student of Adzom Drukpa. 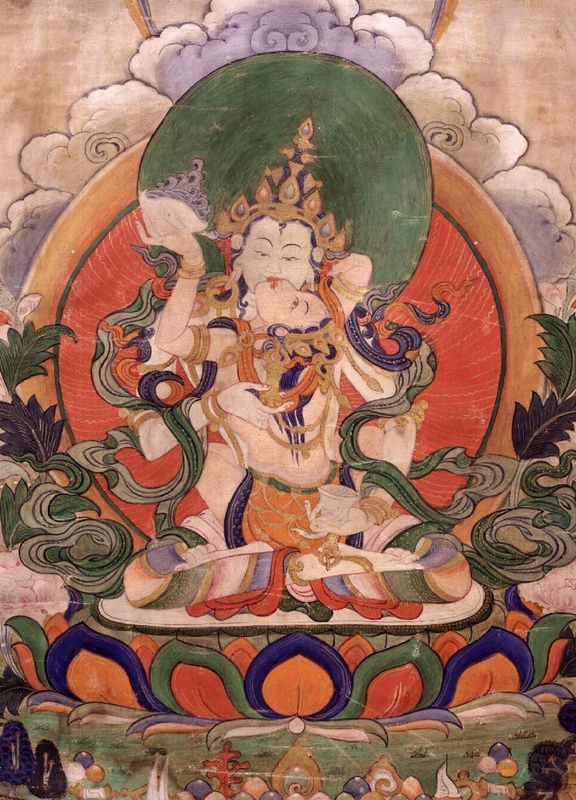 He was recognized by Jamgön Kongtrul as an emanation of Orgyen Terdak Lingpa. He wrote a commentary on the Zangchö Mönlam entitled bzang po spyod pa’i smon lam gyi ‘bru ‘grel mkhas grub dam pa’i zhal rgyun theg chen lam bzang. In 1958, Adzom Gyalsé was arrested and put in prison where he gave teachings to his fellow inmates. He passed away in 1969 with many miraculous signs, and left a letter predicting the date and place of his future rebirth and the names of his future parents. Please visit our website page devoted to Khenchen Padma Tsewang to read his biography, learn about Khenpo Sherab Sangpo’s connection to his root teacher, and view a slideshow of photos. Please visit our website page devoted to Khenchen Jigmé Phuntsok to read his biography, learn about Khenpo Sherab Sangpo’s connection to his root teacher, and view a slideshow of photos. Please visit our website page devoted to Khenchen Chöying Chapdal to read his biography, learn about Khenpo Sherab Sangpo’s connection to his root teacher, and view a slideshow of photos. Please visit our website page devoted to Adzom Drukpa Thupten Padma Trinlé to read his biography, learn about Khenpo Sherab Sangpo’s connection to his root teacher, and view a slideshow of photos. Please visit our website page devoted to Khangsar Tenpé Wangchuk to read his biography, learn about Khenpo Sherab Sangpo’s connection to his root teacher, and view a slideshow of photos.